Imagine waking up on top of the world... every single day!! 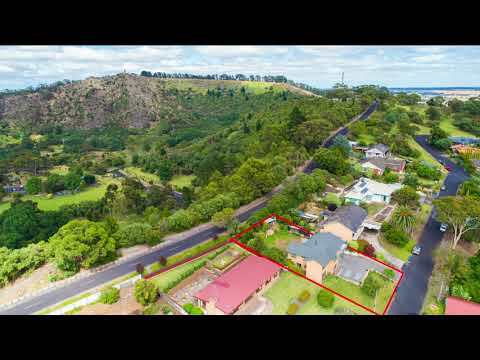 That opportunity is available to you at 7 Shelley Crescent - an incredible location on the edge of the Crater Lakes, with panoramic north facing views of Mount Gambier. We are so excited to present this property to you! The top level offers a spacious family area that takes full advantage of the ideal location - carpeted lounge and dining space (with views of course) and an updated kitchen with electric cooking, dishwasher, beautiful timber cabinetry and plenty of storage. Adjacent the kitchen is a huge laundry space/butlers pantry with extra storage and bench space. The master bedroom at the front of the home features BIRs and an ensuite, with another 2 carpeted bedrooms, a bathroom and separate toilet completing the upstairs area. The lower level features the large 4th bedroom, 3rd bathroom with shower, toilet and vanity, and a 2nd living area (don't worry, the views here are amazing too!) - perfect for the growing family needing a teenagers retreat! The living area also features a slow combustion wood fire, carrying heat upstairs via the flue through the master bedroom. - Timber decking surrounding northwestern side of upper level - perfect for a morning coffee, entertaining friends, and everything in between. - Double garage UMR on lower level, plus separate carport. - "Surprisingly" level and ample backyard space, with greenhouse and 2 garden sheds. - Direct back gate access to Hay Drive - would you do the Tower walk every morning? - Light and bright interior spaces with neutral tones and timber features throughout. Imagine the possibilities, and imagine the lifestyle. A fantastic opportunity to reside in one of Mount Gambier's most enviable and premiere locations. Don't miss out, call for your inspection today!